Warmer weather is finally here, and for green thumbs everywhere, these 70-degree-day stretches are a sign that garden season is getting started. Before you bust out the shovel and dig through the dirt, Washington Gardener editor Kathy Jentz shared some advice for prepping, planting and harvesting your garden. You may be tempted to do all your planting on a nice April afternoon, but do so and you run the risk of ruining your garden. Jentz said the average “last frost date” for the D.C. area is around May 1, but those who like to play it safe wait until after Mother’s Day to put in their warm-weather plants. That said, you can get started on some cool-season vegetables this time of year, such as peas and any type of root vegetable (radishes, carrots, beets, etc.). For the peas, Jentz recommends soaking the seeds in a damp paper towel in a plastic sandwich bag away from direct light. (You don’t want to create a greenhouse and cook your peas, she said.) After a few days, the peas will sprout, and then you can put them in the ground. Jentz said this bag trick gives the peas a head start. If you were to put the seeds directly into the cold soil, it could take a week or two for the plants to get their roots established. “And you should probably be eating your first pods by mid-May,” Jentz said. Radishes are another quick crop. Jentz said they typically take about 45 days, from seed to harvest. Carrots, however, require a little more patience. “[They] take forever. Right when you’re starting to harvest your radish, you’ll finally see little tiny carrot seedlings show up, and you’ll have given up on your carrots at that point,” Jentz said. And it will be several more months before they’re ready to eat. For your ornamental garden, perennials, shrubs and trees can be planted this time of year. After Mother’s Day, Jentz said feel free to move forward with summer annuals and veggies (squash, tomatoes, beans, etc.). What does well in the D.C. area? If salads are your spring meal-of-choice, you’re in luck: Jentz said lettuces thrive in the D.C. area. She recommends planting two rows of the crop and alternating their harvest time so that there are always leaves available throughout the growing season. Okra is another one that takes off in D.C.’s climate — just wait until June before you get started with this plant. “That’s when the heat sets in and everything can be directly sown into the ground,” Jentz said. And if you’re looking for a long-term project, Jentz suggests planting root sections of perennial asparagus. The goal is to grow the roots big, so while the stalks are supposed to be trimmed, they shouldn’t be harvested for a few years. But Jentz said it’s all worth the wait. 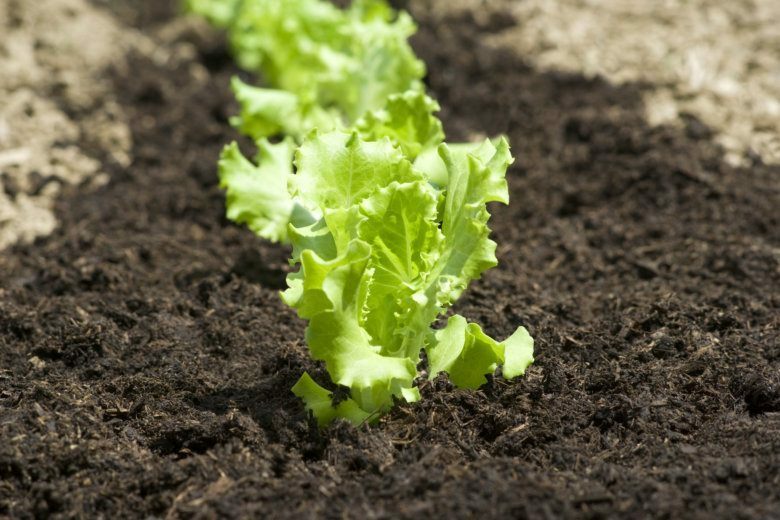 To create a rich soil in your garden, Jentz recommends using as much organic material as you can (shredded leaf mulch that’s been sitting in a pile for months is perfect). Put a thin layer (about 1-inch thick) around the base of each plant to suppress the weeds from germinating and to keep moisture in the soil. “And then some of the little worms and bugs will come up from the soil, eat that leaf mulch down and bring it into the soil, and they’ll break up the clay soil for you which is always great since we have so much clay and compacted soil in our area,” Jentz said. When it comes to weeding the garden, Jentz said it’s imperative to go after the entire plant.